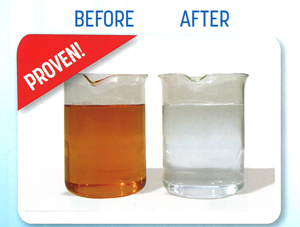 For simplicity of operation and excellent results the new API Superclean Filter has jumped ahead of everybody offering hang-on filter systems. 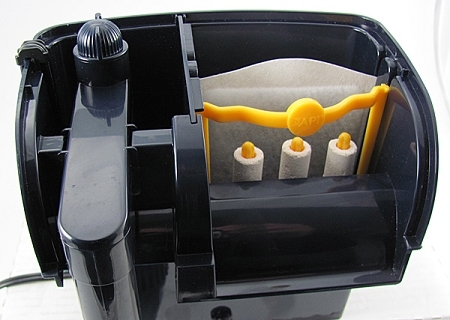 The unique two-layer cartridge system includes two-step mechanical filtration and the inner space is filled with Bio-Chem Zorb. 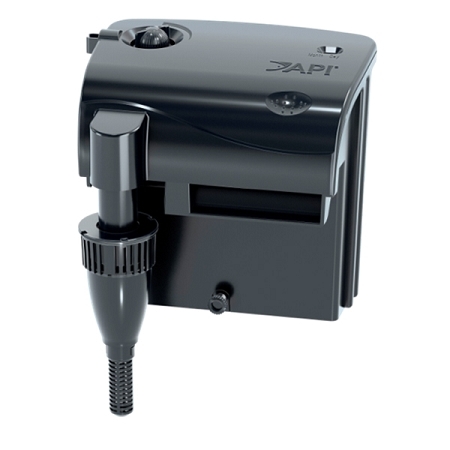 Unlike many other filter cartridges the new API cartridge is filled side-to-side and end-to-end with Bio-Chem Zorb insuring that all water gets treated as it passes through the Superclean filter. 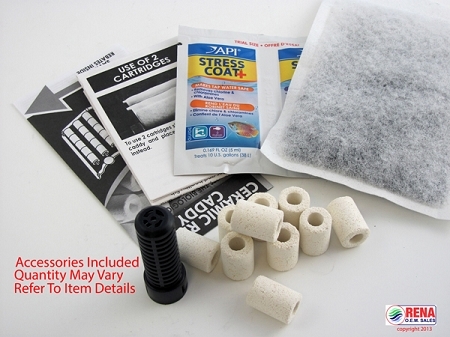 Also standard is a simple rack-mounted bio filter with ceramic rings which results in a very thorough water treatment for aquariums from 20-50 gallons. 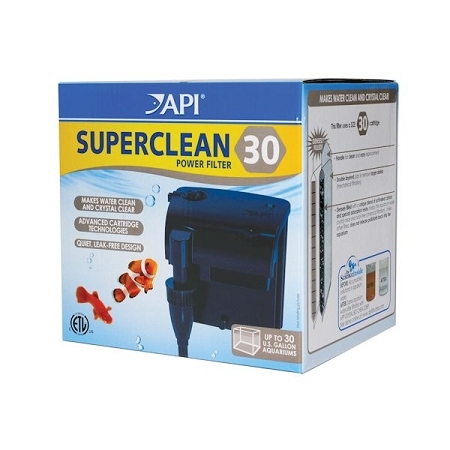 Although the API Superclean filter comes complete right from the box and can be set up in under 10 minutes additional filtration options are available including NitraZorb cartridges for removing excess nitrate and PhosZorb for removing excess phosphates both of which can contribute to poor fish health and unwanted algae growth. Dual-Depth intake filters water from the surface and below.